Pain in your neck can happen for several different reason . Neck Pain Treatment can help get you back on your feet quickly. It can happen suddenly from an accident or fall. Even sleeping in an awkward position can cause neck pain. Other times it can build up over several months or even years and gradually get worse. And sometimes, it may seem like there is no reason and you just wake up one day with neck pain. The way you feel the pain can also vary depending on how the injury happened. Some neck injuries will have just pain as the symptom. Other neck injuries will include pain but also have weakness and pins and needles as well. Sometimes you will have pain that is just in the neck itself. In other cases, pain is felt more in the arms or hands. When this happens, you might not think that there is anything wrong with your neck at all. Neck pain Treatment can be difficult mostly because it can be difficult to properly diagnose. It is important to find an experienced Registered physiotherapist to make sure that appropriate treatment is received. See this link for possible causes of Neck Pain. There can be a variety of treatment options that can be successful at managing neck pain. Modalities such as heat and IFC/TENS can help with reducing pain temporarily. Manual treatment techniques like soft tissue work and mobilizations help with improving mobility and reducing stiffness and tissue tension. Doing the appropriate exercises will also help stretch and strengthen the affected areas. Acupuncture is another modality that can help with reducing pain and improving stiffness. Massage therapy is another treatment approach that can greatly alleviate pain and stiffness and help further the patient’s recovery. Ultimately, there are a variety of treatment options available to treat neck pain. It is up the treating therapist and their expertise to determine the best treatment approach to correct the pain and achieve the patient’s goals. Neck pain can be very painful and really affect a your quality of life. It is important to seek help as soon as possible so that the pain and limitations can be addressed and recovery can be achieved quickly! Call PhysioNow today to get started! Almost everyone will experience some sort of neck pain or stiffness during their lifetime. However, certain occupations appear to be predisposed to neck symptoms. Acupuncture: Neck pain may be able to help. Manual laborers, for instance, have more symptoms than office workers. The type of work seems to affect the risk. A person’s age and a history of twisting and bending during work can also contribute. Studies have shown acupuncture: Neck Pain to be effective in relieving certain types of neck pain. This is especially true for neck pain caused by whiplash. Some studies suggest acupuncture can treat degenerative neck disorders such as ankylosing spondylosis and cervical spondylosis. In many cases, acupuncture: Neck pain has worked for patients whose conditions could not be solved using conventional approaches. Opioids are naturally occurring chemicals in the brain that have apain killing effect. The release of these opioids plays a large role in the reduction of pain. There has been lots of evidence to show that acupuncture stimulates the central nervous system. This causes the release of these pain killing chemicals. Alteration in the secretion of neurotransmitters and neurohormones. Acupuncture is said to activate the hypothalamus and pituitary glands. This changes the release of these chemicals. These particular chemicals play a direct role in the feeling of pain. It also affects the activity of an organ . 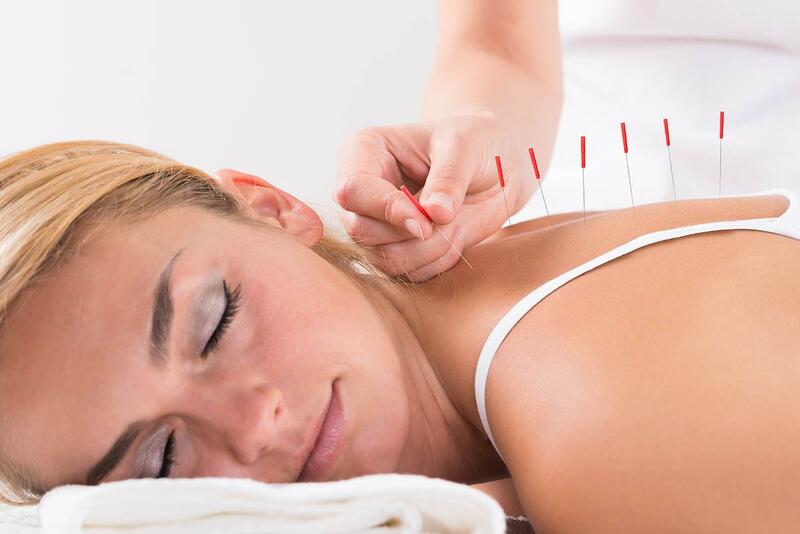 Evidence has shown that acupuncture alters this secretion in a manner that reduces pain. Stimulation of electromagnetic points on the body. The 2,000 points of the body that acupuncture focuses on are thought to be special conductors of electromagnetic signals. Stimulation of these areas is believed to start the flow of endorphins—the body’s natural painkillers. Check out this link for a bit more information about the use of Acupuncture: Neck pain. Needles are inserted to a depth of 4–25 mm and left in place for a period of time (from a few seconds to many minutes). There are often 6–12 needles (and sometimes more) inserted at different acupoints at the same time. The sensation is often described as a tingling or dull ache at the entry point. Many people say they feel very relaxed or sleepy, and some report increased energy levels afterwards. A tiny focused electric current is applied to the skin at the acupoints or can be applied to the needle itself. If you would like to meet with a Registered Physiotherapist that is trained to do Acupuncture: Neck Pain, please call PhysioNow today! Our experienced physiotherapists would be happy to help ! 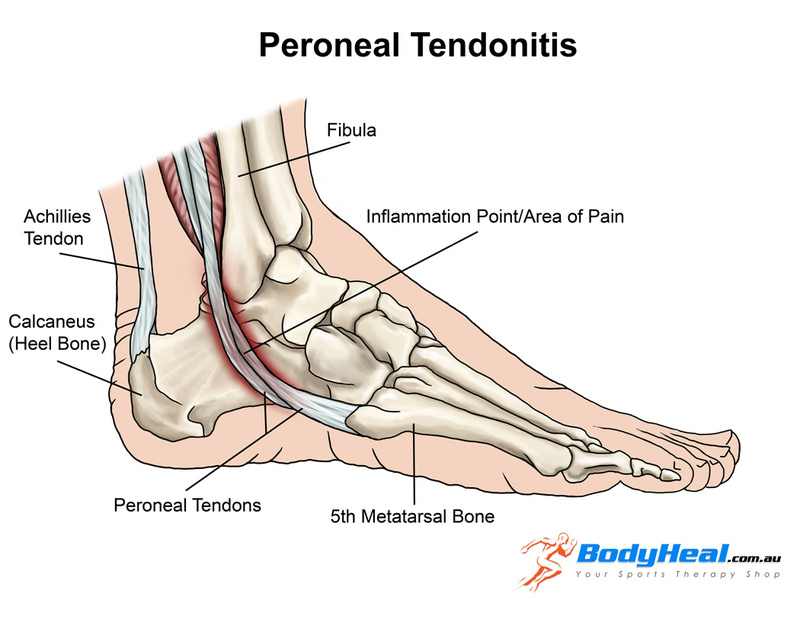 Peroneal tendinopathy or peroneal tendonitis is characterized by an aching pain and swelling in the perineal tendons. These are located in the lower, outside portion of the ankle. A tendon is soft-tissue that attaches a muscle to a bone. The muscles involved in this condition are the 2 peroneal muscles in the lower leg, called the peroneus longus and the peroneus brevis. ​There are two peroneal tendons that run along the back of the fibula. The first is called the peroneus brevis. The term “brevis” implies short. It is called this because it has a shorter muscle and starts lower in the leg. It then runs down around the back of the bone called the fibula on the outside of the leg and connects to the side of the foot. The peroneus longus takes its name because it has a longer course. It starts higher on the leg and runs all the way underneath the foot to connect on the other side of the foot. Both tendons, however, share the major job of turning the ankle to the outside. The tendons are held in a groove behind the back of the fibula bone. • Patients with this condition usually experience pain behind the outside ankle during activities putting stress on the perineal tendons. Pain can also be noticed following these activities or following a rest period. This may be noticed especially upon waking in the morning. There may be swelling when the injury first happens. There will also be pain when testing resisted foot movements. Stretches into various positions of the foot inversion, and resisted movements can cause pain behind the outside ankle. • a diagnostic Ultrasound may be used for detecting all types of peroneal injuries. • Treatment for peroneal tendonitis includes a program of stretching, strengthening, mobilisation and manipulation. It also includes proprioceptive exercises, icing, ankle bracing or k-taping during contact sports. If symptoms are severe, a cast or ROM boot immobilization may be worn for 10-20 days. After symptoms resolve, you will begin a progressive rehabilitation programme along with a gradual increase to full activity. • Also, shock wave therapy (ESWT), acupuncture is used to treat tendinopathy. But there is only limited evidence from studies for these treatments. • There is evidence for using manual therapy, specifically the lateral calcaneal glide. If you have any further queries please call PhysioNow. Our experienced physiotherapists would be happy to help you. Call Today to get started 289-724-0448.! De Quervain’s Disease/ Texting thumb. De Quervain’s Disease or nowadays known as texting thumb is a painful inflammation of tendons in the thumb that extend to the wrist. The rubbing of the inflamed tendon against the canal it passes through causes pain at the base of the thumb and into the lower arm. It is commonly seen in females over 40 years of age. 1. Simple strain injury to the tendon. 2. Repetitive motion injury. Workers who perform rapid repetitive activities involving pinching, grasping, pulling or pushing are at increased risk. 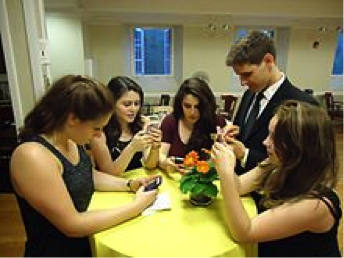 Specific activities including intensive mousing, trackball use, and typing. Other activities including bowling, golf, fly-fishing, piano-playing, sewing, and knitting can also cause De Quervain’s Disease. 3. Frequent causes of De Quervain’s Disease include stresses such as lifting young children into car seats, lifting heavy grocery bags by the loops, and lifting gardening pots . 4. De Quervain’s Disease often occurs during and after pregnancy. Factors may include hormonal changes, fluid retention and more lifting. Onset can be gradual or sudden. Pain is felt along the back of the thumb. There can be Pain directly over the thumb tendons, and pain may travel into the thumb or up the forearm. The bottom of the thumb or the side of the wrist might also be sore or swollen. It may be hard and painful. Symptoms may get worse when the thumb is moved, particularly when pinching or grasping things. Some people also have swelling and pain on the side of the wrist at the base of the thumb. The back of the thumb and index finger may also feel numb. People might experience a funny sound like a squeak, crackle, snap, or creak when they move the wrist or thumb. If the condition is not well addressed, the pain can spread up your forearm or down into your thumb. How is De Quervain’s Disease diagnosed? 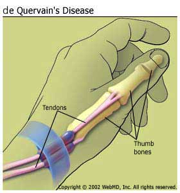 De Quervain’s Disease is diagnosed based on history and physical examination. X-rays, or ultrasound may be used to rule out other causes of pain.The Physiotherapist may use special tests to help diagnose De Quervain’s. More information can be found here. 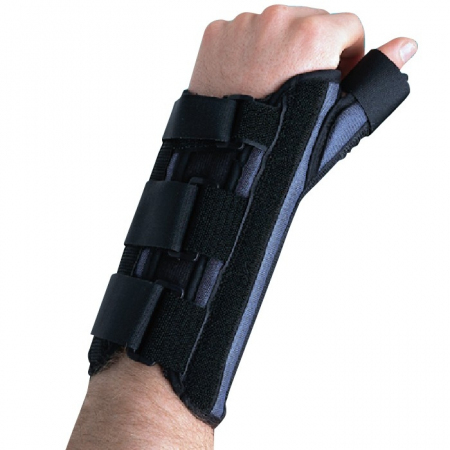 Your Physiotherapist will likely recommend that you wear a specific wrist splint with a thumb spica for 4 to 6 weeks . PhysioNow carries these wrist splints in stock. You’ll also need to stop doing activities that worsen the condition. The physiotherapist after a thorough assessment could choose different therapy approaches to help with the swelling, pain, and function. These treatments may include Ultrasound, K-taping, acupuncture, and manual therapy. Other Physiotherapy treatments may include specific exercises focusing on range of motion, strength, and flexibility. These would be given for a safe and effective return back to function. Recovery times vary depending on your age, general health, and how long you’ve had the symptoms. If your disease has developed gradually, it’s often tougher to treat. So, it may take you longer to get relief. Your doctor may give you anti-inflammatory medication, or may inject the area with steroids to curb pain and swelling. In our experience at PhysioNow, more than 99% of people with De Quervain’s Disease get better with Physiotherapy treatment provided. If however, you are one of the outliers, your doctor may recommend surgery. The operation would release the tendon’s tight covering so that the tendon could move smoothly. It’s an outpatient procedure, which means you go home afterward. Your doctor will recommend physiotherapy after surgery which includes an exercise program to strengthen your thumb and wrist. If you or someone you know suffers from De Quervain’s Disease, please call us today. Our skilled Physiotherapists can Help! 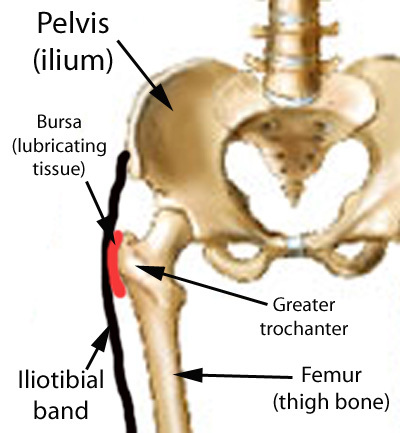 The Trochanteric Bursa is a fluid filled sac near the hip joint. It cushions between the bones and the muscle and acts as a shock absorber. Trochanteric bursitis is the inflammation of the bursa which is at the outside of the hip. When this bursa is irritated it causes pain on the outside of the hip and thigh. Sometimes you may feel the pain down to the knee on the same side. Another symptom is pain which will stop you from lying on your painful side. It will be painful when you press on a specific spot on the outside of the hip. The pain gets worse when climbing stairs, getting up from a low chair getting out of a car. Sitting with crossed legs hurts. Both walking and running may also cause increased pain. Any direct Injury to the outside of the hip like falling, or bumping into an object. Your Registered Physiotherapist can help you to reduce the pain and inflammation. They will use electrotherapy modalities, taping, or acupuncture. They will give you advice on activity limitations in the early stages. Later the treatment is focussed towards increasing the flexibility and strength in the muscles. Your Physiotherapist will increase the hip joint range of movement and correct your hip joint mechanics. Finally the focus is towards preventing it from happening again. Your Registered Physiotherapist will look at your posture, hip stability, and core strength. They will look to see if you need Orthotics to address any problems with your legs or feet. Whenever you start a new activity, try to take it slow and build up your activity level gradually. Start with less force or resistance, less repetitions and progress gradually. If you or someone you know may have Trochanteric bursitis, call PhysioNow Today! We would be happy to get you started on your treatment and back to enjoying all the things you love to do!